I bought this at the famous Skips Honda auction in West Virginia. It's a neat looking bike. Turns out it needed more work than I was hoping so I sold it on ebay. I was never going to get to this bike so I sold it. Cool little bike but too little for me. Basic CB450, had some issues. Sold it to a friend who had a Cb450 he needed parts for. This thing was huge. I rode it around my neighborhood before I sold it. Riding it felt like you were straddling a bull or army tank. This is a big bike. Rare Norton Electra. See more pictures here. 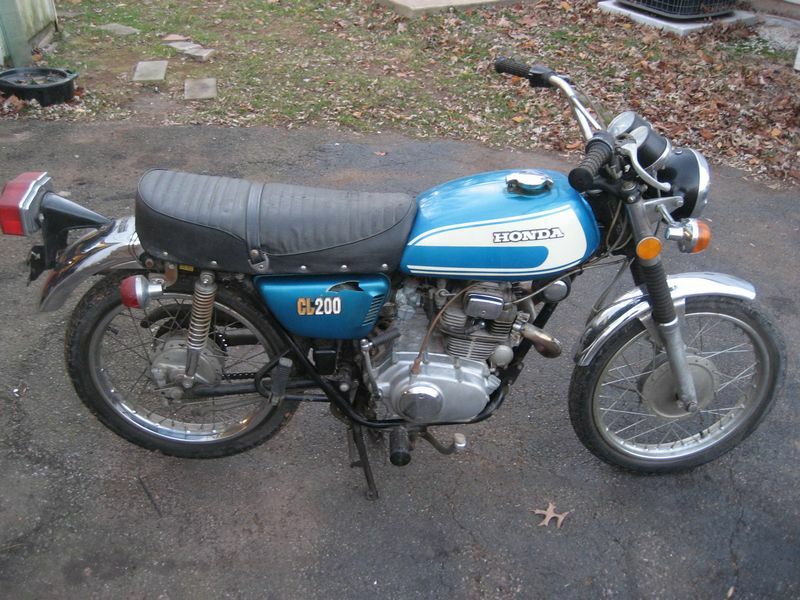 I bought this old Suzuki GS250 at an auction for $20. This was a first generation Ninja. 1988 model. Sport bikes have come a long way since this was made. Rough 2 stroke dirt bike. I went to the dump one morning and stopped a guy just before he pushed this off his trailer into the metal only dumpster. He said his son used to ride it but didn't anymore. Score for me. Pretty neat bike but I fancy the small bikes. I try to go on some motorcycle trips through out the year. See far too many pictures of the trips here. I have a number of motorcycles waiting to be worked on. Here are a few. I sell motorcycles that I don't want from time to time. See them here.